Thanks Ashika! I’ve been enjoying this one a lot lately! It’s super filling and so easy to make. Perfect leftover for lunch too! Hope you’re having a great week! One hearty, heathy, delicious recipe, Leanne! Love all those beautiful flavours and colours goin’ on. I don’t eat as much salmon as I used to because of all the farmed stuff that’s out there, but I do occasionally enjoy it (one of my favourite varieties of seafood). I seriously can’t believe we are into May. Blows my mind. Before we know it, it’ll be July and Costco will have Christmas stuff out, lol Hope you have a wonderful weekend and Cinco de Mayo, my friend! Thanks Dawn! Haha! You are so right! Costco will have Christmas stuff out soon. I’m just glad summer is around the corner! Can’t wait for the warm temps and backyard grilling. Hope you’re having a great week! 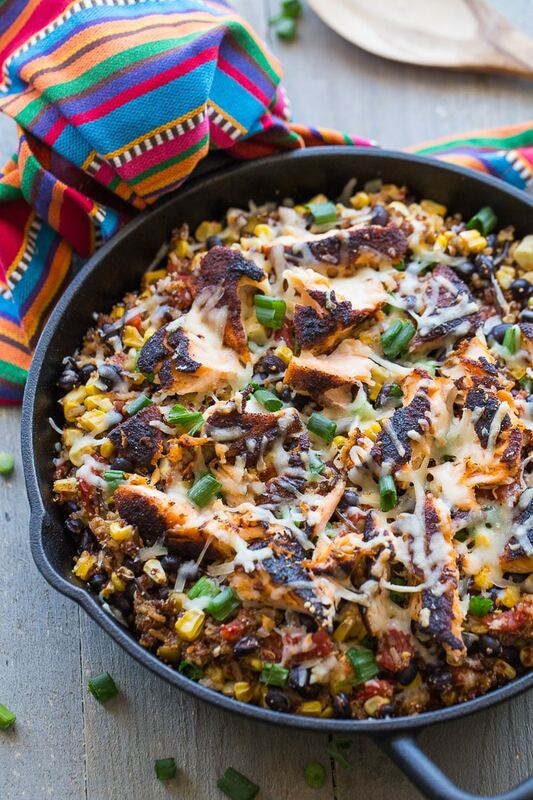 Another awesome Cinco de Mayo meal idea! Thanks. I will definetly be attempting this. Thanks Terry! I hope you like it! If you make it, be sure to let me know what you think! Thanks Patrick! It’s a pretty tasty pairing! Hope you get a chance to try it! This looks SO good! We eat all of these ingredients separately, but I wouldn’t have thought of the combination! Can’t wait to make this. Thanks Madison! The ingredients work really well together. I hope you get a chance to make it. Be sure to let me know what you think if you do! 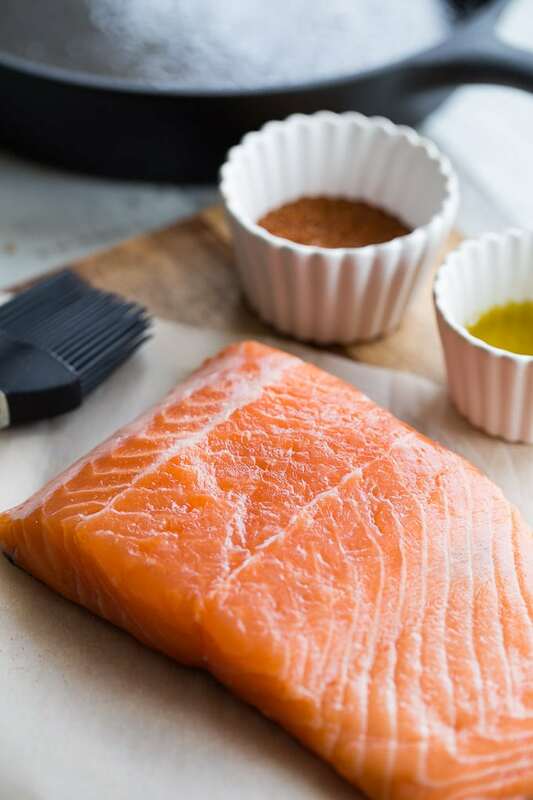 We eat a lot of salmon, and this is one yummy looking recipe to change up my usual. Thanks for sharing Leanne! It looks delicious. Thanks Colleen! This one has been on repeat in my house for days! It makes pretty awesome lunch leftovers. Hope you get a chance to make it! 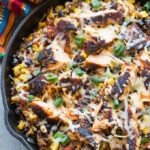 I love quinoa and salmon happens to be my favorite fish, so this recipe has my name written all over it! Hope you had a great weekend, Leanne! Thanks Kelsie! Salmon is a go-to in our house, so I think this one will be added to the dinner rotation! Hope you’re having an awesome week! Thanks Lizzy! Yes, snow flurries on our wedding day! But you’re right, that’s Canada, so we weren’t surprised! 😉 Thanks for stopping by! This is sincerely my kind of meal Leanne — it’s so packed with everything that I love! I’m so happy that it’s May too and the weather is still a little wacky over here. I’m ready for summer! Well this looks amazing!! 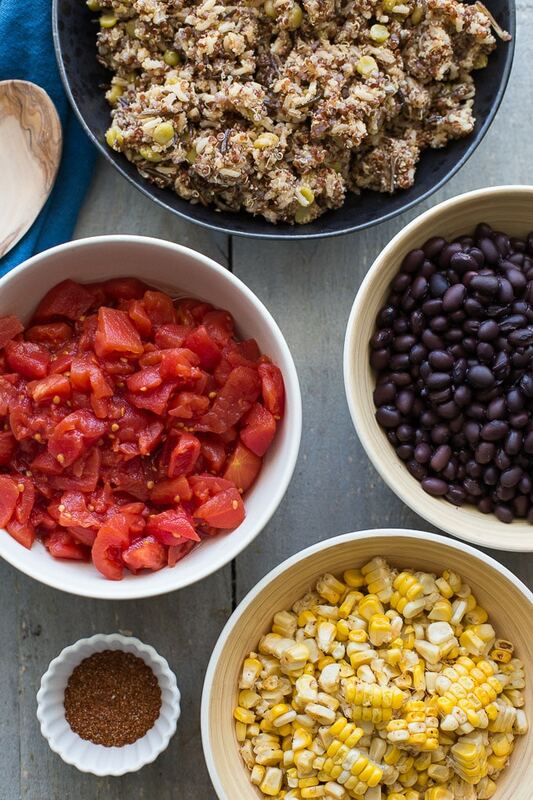 So much flavor and color in your dishes! I love it, Leanne!! This has so many flavors going on! Looks amazing! Thanks Kim! This dish is definitely flavourful! This looks and sounds like the most delicious combination Leanne! I’ve got to get this one on our weekly menu! I’ve been trying to add more salmon! Perfect! Thanks Mary Ann! I hope you get a chance to try it! Be sure to let me know if you do. Have a great week! 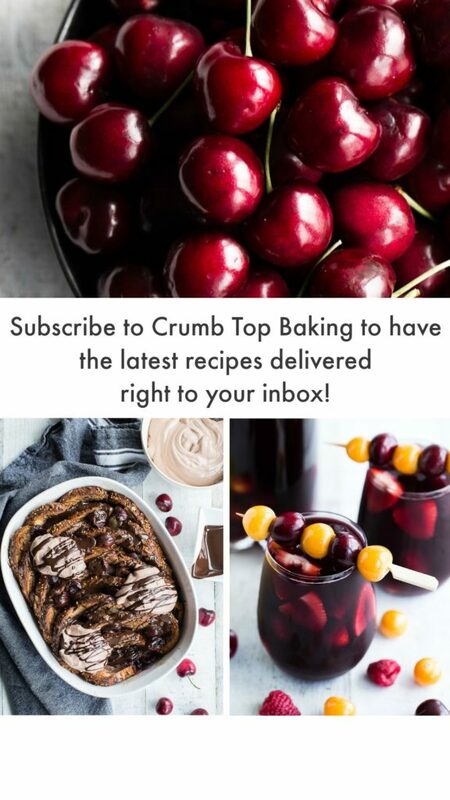 This bake is packed with all the things I love!!!! I eat salmon, quinoa and some form of Mexican at least once a week, but I’ve never thought of having all three at once! This is genius! And it looks absolutely delicious!! Can’t wait to try it! Cheers! Thanks Cheyanne! All three are delicious together, and super filling! I hope you like it! Happy Tuesday! I don’t think I’ve ever paired salmon with quinoa, but the idea sounds great. 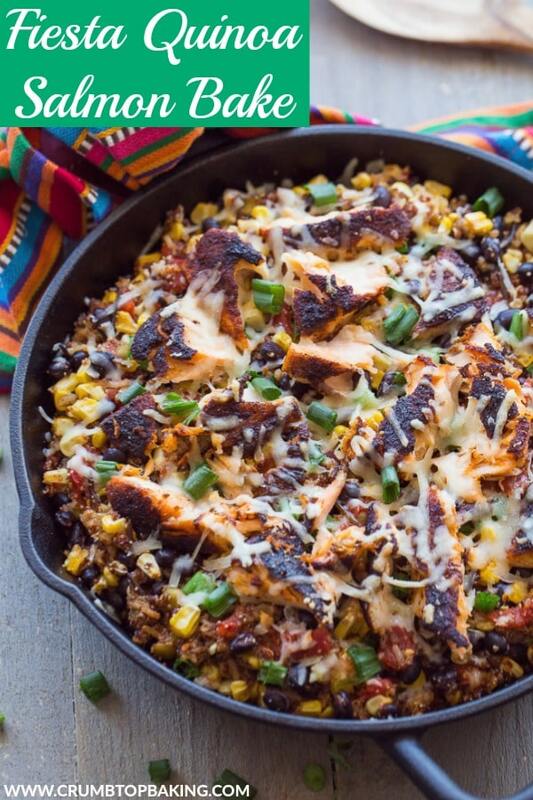 Combined with beans, tomato, and cheese, it’s such a delicious and flavorful dish. Well done, Leanne! I would really love to get more fish in our diets!! This looks like the perfect way to do it! Hooray for May!! Yes, hooray for May! Well said Katherine! This dish is definitely my new favourite way to get more fish in our diet! Hope all is well! 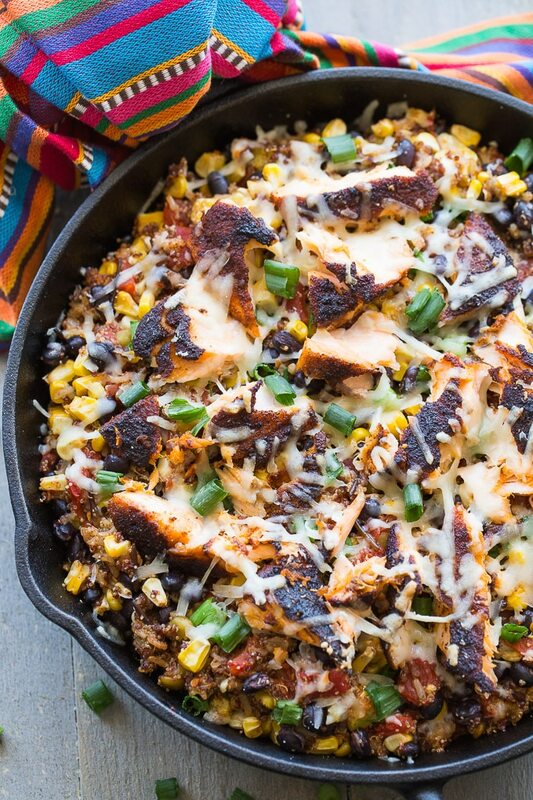 I’ve not often cooked salmon in a skillet with the rest of the meal, but this looks like a great idea! I appreciate your tips for making it quick and easy. Thanks Cathy! I actually cook the salmon in the skillet before adding the other ingredients, but it’s all pretty much contained in one skillet. Less clean up for sure! Thanks Heather! 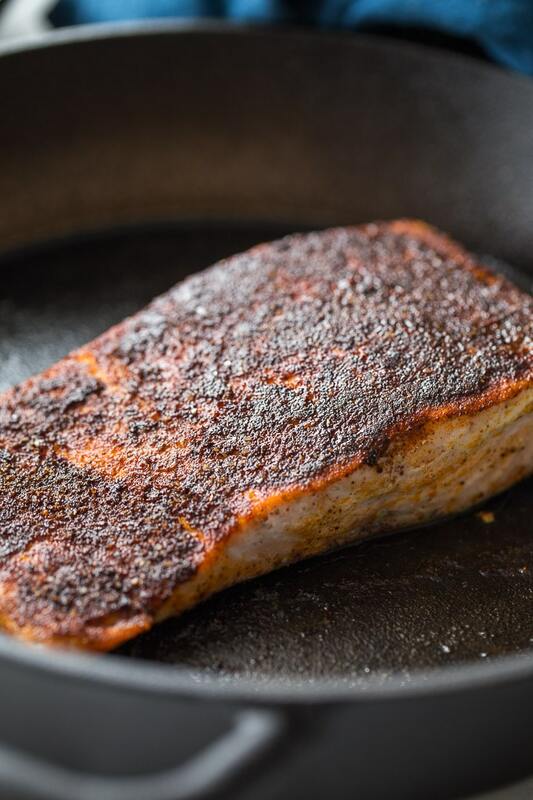 If you’re just starting to cook fish, salmon is a great one to start with. It’s quick and easy! Thanks Jaclyn! I’m really enjoying the flavours in this dish, and it’s now a regular part of my meal prep for the week! I hope you get the chance to make it! 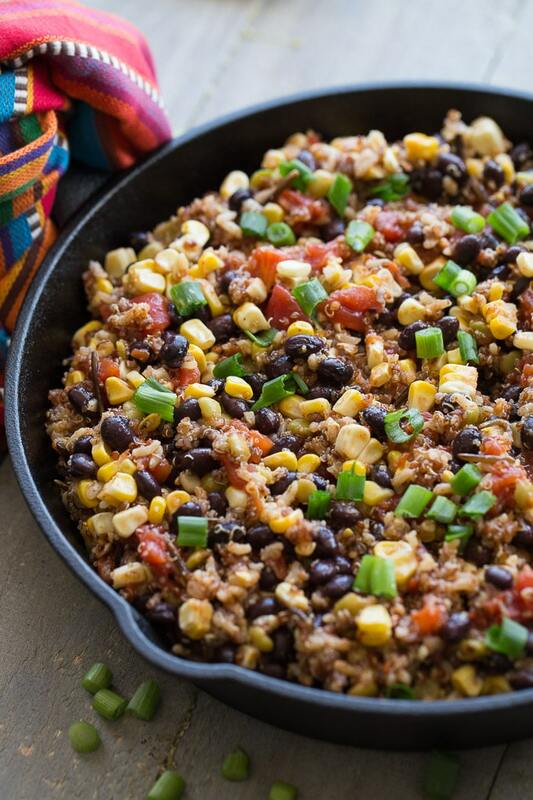 What a flavorful dish for a weekday dinner! Thanks Melanie! It’s a nice weekday dinner for sure! I can’t wait to make this over the weekend! This is just beautiful and divine. Thanks so much for the inspiration! and Happy Anniversary too! Thanks so much Lily! Let me know what you think if you get the chance to make this dish! Thanks Natalie! Would love to know what you think if you make it!